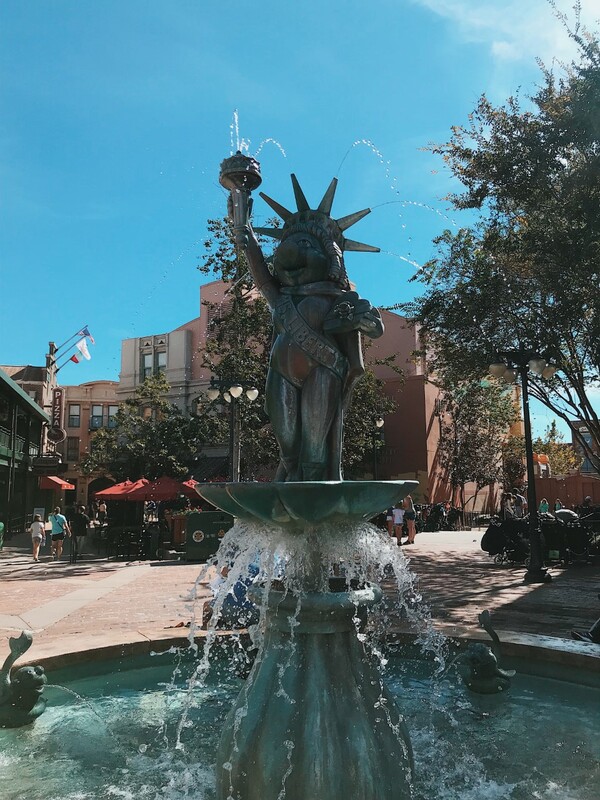 Hello, here's my second Orlando blog post. I've decided to split them up into two as they were getting a little photo heavy and the writing was getting lost. So expect my Magic Kingdom post very soon, but for now here's Hollywood Studios & Epcot! 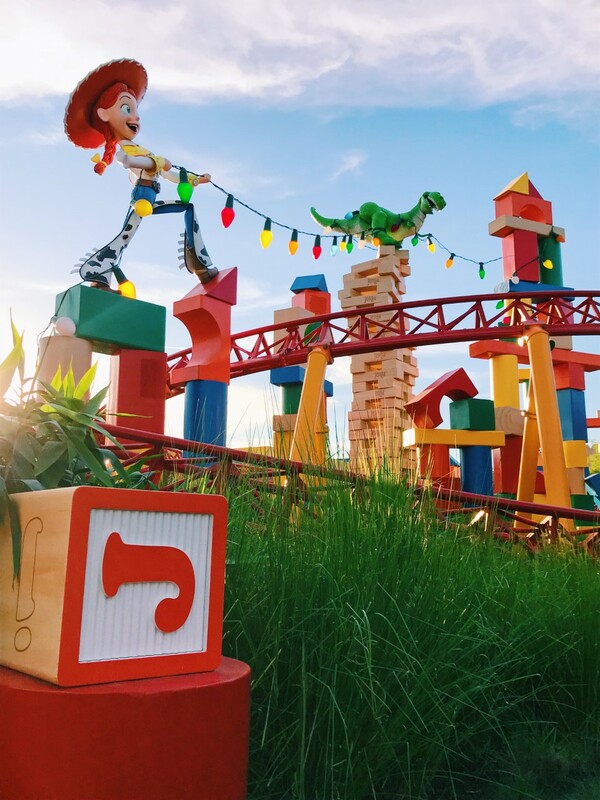 I love Toy Story, so I was very excited that I was able to see the brand new Toy Story Land! Out of all of the mini worlds in the whole of the Disney World, this was my favourite. I absolutely loved all of the bright colours and general vibe of the area. We went to Hollywood Studios on a Saturday so it was much busier than the other days we'd be been at the parks, Toy Story Land in particular was very busy. We had to wait for just over an hour and half for the Slinky Dog Dash but in my opinion it was completely worth it. It was faster than I thought it would be, but so much fun! When you're waiting in line there's so much to look at. The Toy Story Mania Ride is really fun, again so much has been thought about and you totally feel like you've been shrunk down. This experience is a 3D series of video games all themed around the film. Plus after you've had plenty of fun here, make sure you get yourself a seat for the Fantasmic show, it's not one to miss! This was a bit of a throwback to the 80's/90s, I felt like I had gone into a time warp. Before I caught the fireworks I went on the Riding Nemo ride which was super cute, I'm such a big fan of the Pixar films, they're always incredible well done with such a positive message. I also went on Soarin' Around the World, which was so much fun. I really felt like I was flying, so much so that I even screamed a few times. After we went to the international pavilions, it was during the height of their annual food & wine festival so it was pretty busy. It was incredible how they'd managed to create so many realistic cities from across the world, I didn't sample of the food sadly but I can imagine how much fun this would be if you planned ahead. On the night we visited, Boys to Men were performing as part of eat to the beat show and it was filled with screaming fans! I absolutely loved seeing the fireworks and display, it's amazing that they do this every single night. I stood to the right of the Mexico area and had a great view, I may have even got a little emotional. This girl looooves fireworks. Your photos of the fireworks look stunning! Toy Story land sounds great, there's one in Disneyland Paris but it's probably much smaller than the one in Hollywood Studios. I'm looking forward to your next post!